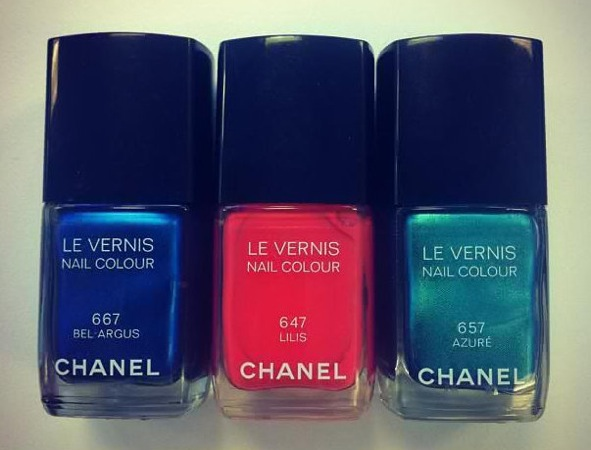 Exciting news, Chanel nail polish lovers out there!! 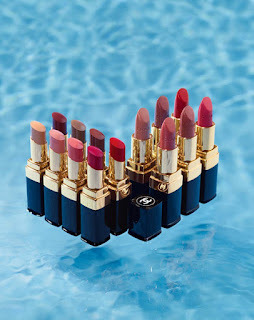 The first photographs and previews from the upcoming Spring and Summer 2013 make-up collections have started to surface and...oh my, aren't they covetable? First to land on a beauty counter near you (there's talk of April, which is bad, as I'm already salivating over the whole set of polishes! ), is the Avant Premiere de Chanel Collection. 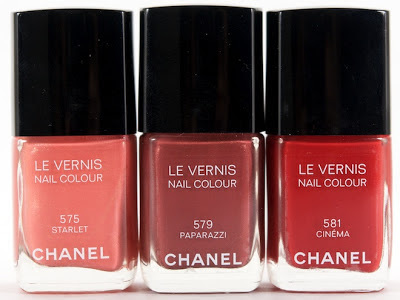 Not a great deal is known about it yet, we just have a couple of promotional images featuring the new shades of Rouge Coco Shine and Rouge Coco Lipstick which will be released and, most importantly for what concerns this blog, four brand-new Chanel Le Vernis nail polishes! #575 Starlet, which will be the only limited edition in the collection, a shimmery peachy pink (which reminds me a bit of Frisson, we will see...). Then we have what I think is the real beauty, so far, #583 Taboo, part of the Revelation de Chanel Collection (pre-fall collection), release date very tentatively mid-March. Taboo is a to-die-for dark purple shade infused with burgundy shimmer. I can't wait to lay my hands on this one! Then we have the first previews of the Summer 2013 collection to wet our appetites for more gorgeuos nail polish shades to come! Nothing much is known about the summer collection as yet, more details will be available as release date approaches. For now, I must say that Azuré is probably my favourite of the three, but I'll suspend judgement until we have swatches/more pics. 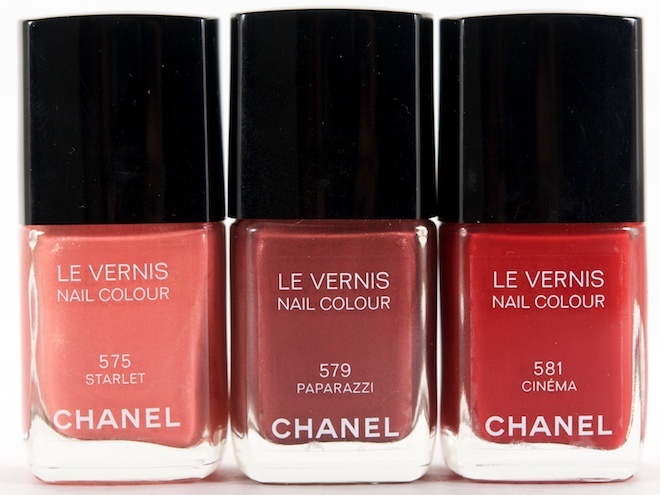 So, what do you think about the latest Chanel polish news? Are you excited about one shade in particular?